A protégé of Michael Pollan tells the remarkable story of an unheralded group of Montana farmers who have defied corporate agribuisness by launching a sustainable food business. 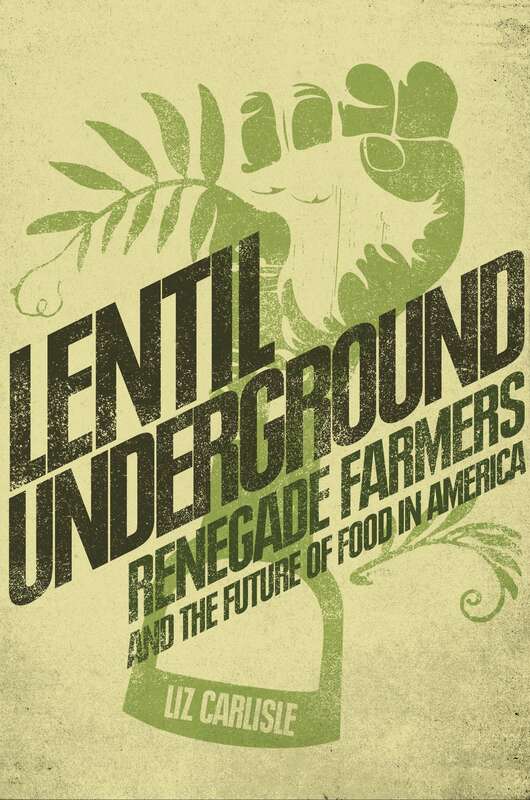 Set in the farm belt of red state America, far from the farmer’s markets and haute cuisine of coastal cities, Lentil Underground confronts the global food system in one of the little known rural communities that will determine its fate. From the heart of Big Sky Country comes this inspiring story of a handful of colorful pioneers who have successfully bucked the chemically-based food chain and the entrenched power of agribusiness’s one percent, by stubbornly banding together. Unearthing the deep roots of this movement, Lentil Underground introduces readers to a memorable cast of characters, from gun-toting libertarians and Christian homesteaders to peace-sign-waving environmental activists. Journalist and native Montanan Liz Carlisle weaves an eye-opening and richly reported narrative that will be welcomed by readers of food and farm memoirs, as well as everyone concerned with the future of American agriculture and natural food in an increasingly uncertain world. Author Liz Carlisle will moderate a panel The Wonders of Legumes! at the Eat Real Festival, Jack London Square, Oakland; Mainstage on Sunday, September 20, 11:30am-12:30pm. For more information see our Eat Real story. You are encouraged to purchase Lentil Underground from your local bookseller. If this is not possible it is available through out affiliate programs with Indiebound or Amazon. Excerpted with permission from Gotham Books, an imprint of Penguin Random House. Copyright 2015. In March of 2008, I filled up my Subaru at the cheapest gas station in Somerville, Massachusetts. Three dollars and twenty-two cents was more than I’d ever paid for a gallon of regular unleaded, even at the height of summer. But I’d scouted the marquees around town, and this was as low as I was going to get. The pump clicked off, and I stuffed the receipt into an envelope in the glove compartment without looking at the total. I knew I couldn’t afford it. And gas prices didn’t appear to be going down. Four years into my career as a country singer, I was tired. Exhausted. 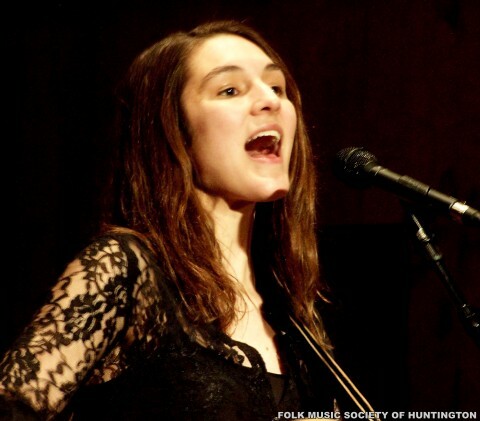 At first, it had been thrilling to open for LeAnn Rimes and Travis Tritt, to record at Martina McBride’s studio in Nashville, and to sing the national anthem at an NFL game. Born and raised in Montana, I’d grown up on country radio, and I loved weaving romantic agrarian lyrics into pretty melodies. When I’d graduated from college, with a new record to sell and a full schedule of shows for the summer, it had seemed like the greatest thing in the world to travel through rural America and tell its story. But now that I’d crisscrossed the country several times in my station wagon, I knew the sobering truth. I’d been lying. As I listened to the people who came up to chat after my shows, it dawned on me that life in the heartland was not what I’d thought. Farming had become a grueling industrial occupation, squeezed between the corporations that sold farmers their chemicals and the corporations that bought their grain. To my disappointment, I discovered that most American farmers weren’t actually growing food but rather raw ingredients for big food processors. These multinational corporations dictated everything their growers did, from the seeds they planted to the expensive fertilizers and herbicides they needed to grow them. It was a losing game for the farmers, who kept sinking further into debt as their input costs rose and grain prices fell. But the arrangement was great for the corporations, which kept right on dealing chemicals to their captive suppliers of cheap corn, soy, and wheat. Flush with marketing dollars, Big Food was working hard to convince middle America that their folksy branded products were the protectors of the family farm and its wholesome values. I thought about the companies that sponsored my shows and felt a creeping wave of guilt. I’d bought into their phony story hook, line, and sinker—and I was propagating it. The song I always sang to open my concerts talked about corn popping up in neat rows next to a peaceful river. But in fact, the fertilizer running off America’s cornfields had so thoroughly choked the Mississippi watershed with nitrogen that farm towns were subsisting on bottled water, and the Gulf of Mexico was sporting a dead zone the size of Massachusetts. It wasn’t as if the flood of fertilizer were helping farmers. All those fossil fuel–based chemicals were sending rural households into bankruptcy, just like gas prices were crushing me. As I drove away from the pump in Somerville, I realized it was time for me to tell the real story of farming, food, and rural America. Maybe I could even help to change it. So in the spring of 2008, I quit the music business. And I joined the lentil underground. Strictly speaking, I didn’t exactly know I was joining the lentil underground when I went to work for US Senator Jon Tester in June of 2008. What I knew was that Jon was an organic farmer from a small town in my home state of Montana. He seemed to have some good ideas for fixing the problems with American agriculture, so that farmers could make a good living growing healthy food. And in the process, he was changing the face of national politics. By unseating a three-term Republican incumbent, Jon had handed Senate Democrats a razor-thin majority — and a flat-topped populist poster child. But if these were weed farmers, I gathered, they were remarkably solvent ones. Unlike the other growers who called into the office, these organic farmers weren’t complaining about grain prices, because they didn’t sell to big corporations, and they were raising a lot more than just grain. They weren’t complaining about the cost of chemicals either, because they didn’t use them. 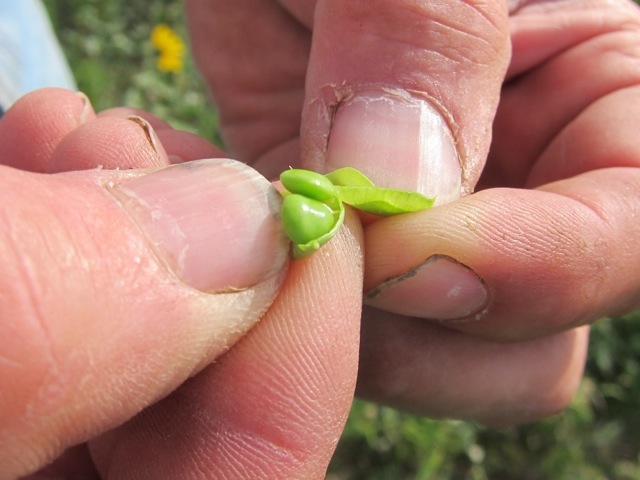 They’d found a crop that could grow its own fertilizer: lentils. I got so curious about these farmers and their miraculous lentils that I started calling them, peppering them with questions about all the crops in their rotations. But as quickly as I’d gotten excited, I found myself frustrated again. I thought I’d happened onto a simple, technical solution to the crisis in farm country. But instead, my farmer informants kept regaling me with meandering stories that dragged long into my lunch break before I finally cut them off with a polite “Thanks for sharing your thoughts.” I was about to give up when one of the farmers leveled with me. “I know you folks out in DC are always looking for a quick fix, and I just want you to know that this isn’t it,” the farmer said. “But if you’d like to come out and visit, you’re always welcome.” I hung up the phone, grouchy. I was at work late again, vainly attempting to stay on top of the flood of e-mails about wolves, guns, and abortion. I knew the office wasn’t about to send me on a junket to Montana to check out a field of lentils. I was mad at myself for my foolish idealism, mad at myself for wasting time on a dead end. But as I lay in bed that night, I started thinking more seriously about the farmer’s invitation. As he’d warned, this wouldn’t be a quick fix. It would take a long time to really understand what these organic growers were up to. I would need to quit my job and focus on this project full-time, probably for several years. I had a lot to learn about ecology, economics, and the real history of the agrarian West—not just the version I’d absorbed from country radio. And yet, maybe it was worth it. The next evening, I started researching graduate schools, looking for a place where I could get the training I needed and then conduct in-depth field research. It wasn’t easy to find a doctoral program with the breadth I was looking for, since most departments focused their students on a highly specialized area of study. But the PhD at UC Berkeley’s Geography Department seemed like a good fit. In June of 2009, after thirteen months in DC, I said good-bye to Jon Tester, promising that our next visit would be at his Montana farm. And in August, I moved to Northern California to register for my first semester of classes. 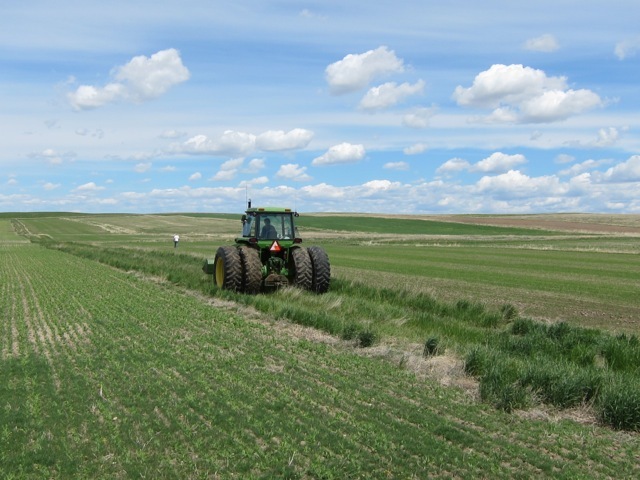 By the summer of 2011, I’d made it far enough into my formal studies to venture out to Montana to meet some farmers. I picked up my parents’ station wagon in Missoula, then headed off for a part of the state I’d never been to before — the dry plains just east of the Rocky Mountains. There, in a sleepy little town named Conrad, I found the man I was looking for: Dave Oien. Dave wasn’t the first farmer I’d spoken to when I started working in the Tester office. In fact, I’m not sure I ever talked directly to him at all. But when I asked people to tell me who had convinced them to go organic, the answer always circled back to this little Conrad farm. On these 280 acres — his parents’ homestead — Dave had done something truly radical. During the height of the 1980s farm crisis, he’d become the first in his county to plant organic lentils. Back then, Dave had been laughed off as a kook. 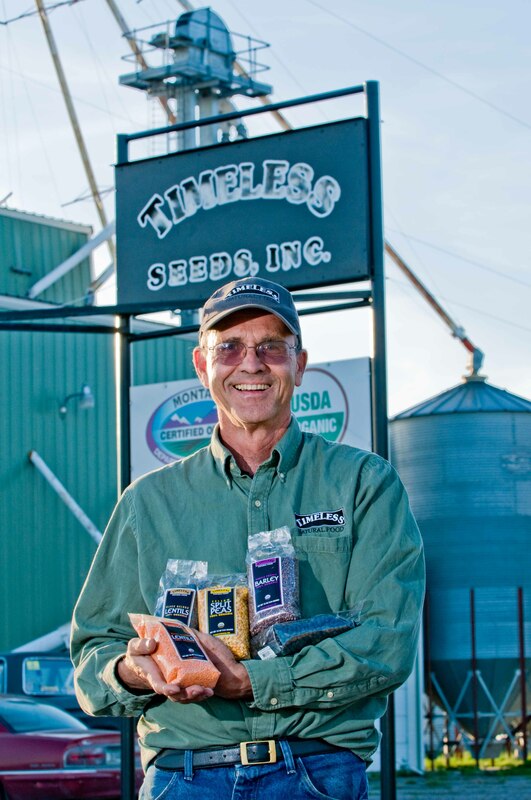 But now he had more than a dozen other people growing for his small business, Timeless Seeds, which had gotten specialty lentils on the shelves at Whole Foods and on the menus of the nation’s finest restaurants. When I pulled in to the Oien place, I was greeted by an unassuming man in a faded plaid work shirt and jeans. He’d tucked his spectacled eyes under a too-big ball cap, which shaded his face from the sun but also gave the impression that his head was smaller than it was. Slumping a bit as he traversed his garden, the balding farmer curled his six-foot frame toward the landscape, refusing to stand out. He answered my questions politely and factually, as if he were a repairman explaining how he’d fixed my faucet. While Dave played the common yeoman, I settled into my own performance, inspecting his soil as though that was all I was interested in. As I had explained to Dave on the phone, I was here to conduct research for my dissertation about diversified farming systems on the northern Great Plains. Dave and I talked through each other for several minutes, as I dutifully wrote down his list of crops and the soil amendments he was using. I didn’t tell him that I’d been doing my homework on him and his lentils, and that this was more than just a short-term research project. I didn’t mention any of the uncanny parallels in our stories. The fact that I was twenty-seven, the same age he’d been when he came back to this farm. The fact that I’d come here on the same road from Missoula that he’d traversed thirty-five years before. The fact that I, too, had been trying to save the world in faraway places before realizing that I needed to start at home. I didn’t remind him that I was from Montana myself and that my “research vehicle” was my parents’ car. But of course, my journey had been far longer than the four-hour drive from my parents’ house. I’d spent my entire adulthood combing through poetry, policy, and scholarship in search of an agrarian answer to the vexing problems of modern society. I’d consulted authorities of all stripes, from salt-of-the-earth sages in Nashville, to political gurus in Washington, to scientists and food activists in Berkeley. How could we feed the world without destroying it? After several years of searching, I knew there were important answers to this question that I couldn’t find in a high-tech lab or a high-powered policy summit, or even in popular local food movements in San Francisco and New York. But those answers might be here in Conrad, if only I could get Dave to talk. And then he smiled. Without moving his mouth, Dave vaulted his eyebrows into his forehead and opened his eyes so wide they nearly filled the yawning lenses of his glasses. He’d noticed the number four on the far left of my license plate, which every Montanan knows as the code for Missoula. “Did you know Joseph Brown?” he asked me. Joseph Epes Brown was a legendary figure in my hometown, a professor of religious studies who’d passed away in 2000 after an illustrious but somewhat enigmatic career at the University of Montana. At age twenty-seven, he had traveled the West in an old truck, seeking Lakota elder Black Elk. When Brown finally found the elderly medicine man, in Nebraska, Black Elk was nearly blind, but he greeted his young visitor knowingly. “I’ve been expecting you,” Black Elk told Brown, who would later publish an account of their conversations at the Lakota man’s request. 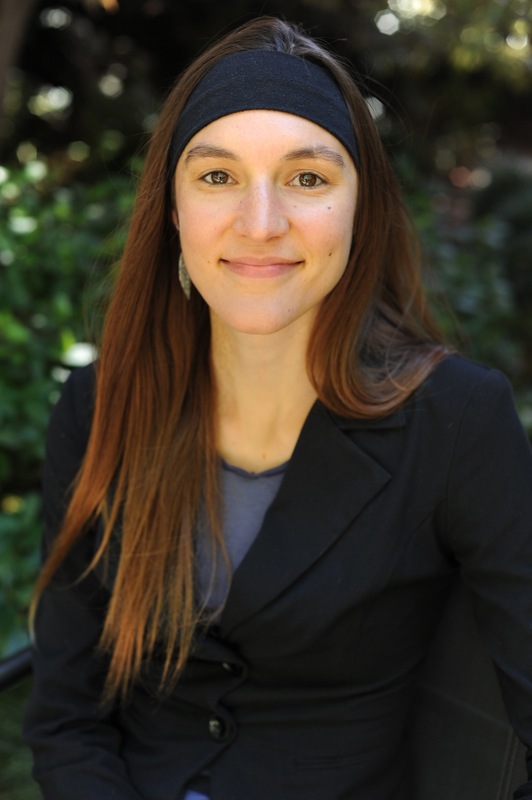 Liz Carlisle is a fellow at the Center for Diversified Farming Systems at the University of California, Berkeley. She holds a Ph.D. in Geography, also from Berkeley, and a B.A. from Harvard University. Carlisle is a former Legislative Aide to United States Senator Jon Tester and previously had a career as a country singer. This entry was posted in Eat, Eat: Book Excerpts and tagged Eat, Lentil Underground, Liz Carlisle. Bookmark the permalink.